Where Has The America Of Old Gone? With both sides of the American political landscape so divided it is easy to write on what divides us, the sense that one side is so diabolically opposed to what the other side wants that there is little in common, but is this the case? Are we as Americans so divided politically that just like the civil war there is nothing that will remedy this divide other than taking up arms against each other? I would say no to that; we need to look at what unites rather then what divides us. One must ask, “What ties us together as a nation?” The answer to this is something that is nationalistic, and as such is not the dirty word that others are trying to make it out to be, we are all Americans. 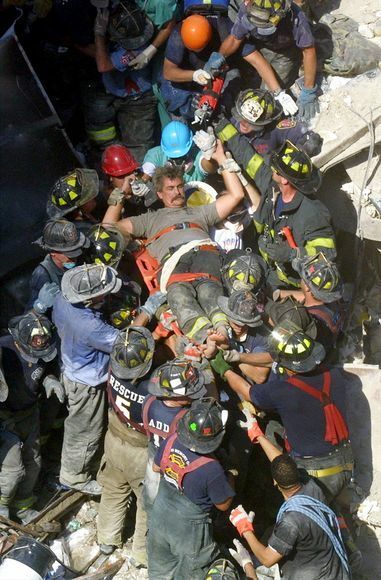 When there is a disaster, such as the trade towers being attacked on 9/11 the hurricane that came through and devastated New Orleans, the more recent ones that went through Florida and other states and territories, no one said they deserve no help, they are Republicans or Democrats, they were Americans, we went in and helped them. Today we are told that being a nationalist is a bad thing, but is it? We as a nation are tied together by common bonds, we are first and foremost Americans, when disaster rises, no one looks to see if the other side is black or white, is Christian or Jew, or is a Democrat or Republican, we know the other ones are Americans, that is all that is needed, for that is what binds us together. We are told today that being a nationalist is somehow racist, but I must ask, “How can that be?” The same people telling us this love to let us know that we are a racially diverse nation, made up of people that hail from all over the world, all united in the one common bond, we are Americans, color is not what dictates this, our nationality does, so how can being a nationalist be racist? We are told that being a nationalist is somehow tied to what Germany did, the Japanese or the Italians, and don’t get me wrong, they did terrible things in WW2 with their race laws, their slaughter of innocents based on race, but if we are a racially diverse nation how does this imply to us? Are only Germans Americans? Or is it because we were founded as colonies of Britain, that only with English blood in them are American’s? We all know the answer to this, a person that is Native American is as American as someone whose ancestors came from China chasing the American dream. The African American, or American Blacks, I hate this separation of people from others, they came as slaves, were freed, now they have equal citizenship to any English American or Chinese American, we have seen them rise from what was a terrible condition to hold the highest office in the land. I for one have no issue with Hispanic Americans, they are every bit as American as the rest of us, but I do have a problem with the illegal aliens coming here, the reason is simple, they seem to think it is their right to bypass what all others have to go through to come and be part of the American dream, come here legally, I am happy to accept you into the American family with open arms. There is so much that divides us, but you know what, there is so much more that unites us? When I was in the military I never looked at a fellow brother in arms as somehow in different boat because they were a Democrat or Republican, sure did not care if they were black, Arab, White, or Hispanic, we were all brothers in arms, that is all that mattered, it is what united us. People go to war and fight for each other first, then they fight for the ones at home, they also fight for their nation, but like it or not, this is the order everyone fights for. When bullets are flying, you could care less about what someone’s religion is, you only know that the enemy shot at your brother, you are going to do what you must to defeat this enemy. Go to one of our national cemeteries; you see the graves of great men and women who laid down their lives for this nation and our freedoms, are they laid out in the cemeteries by religion? By race? By political affiliation? Of course not, they are all laid down as one, heroes that gave the ultimate sacrifice so we could continue in our quest of freedom, we don’t separate, they are all great and honored as such because they were Americans that fought and died protecting what we all hold so dear. In my own family we have about half my family are very conservative Republicans, the other half are liberal Democrats, they are not our enemy, they are my sisters and brothers, I love them regardless, the fact that we disagree does not affect our family relationship in any way, in the end does not matter what party we lean towards, we are tied together by blood, that is more important than any political leaning. We are far still from the days when brother took up arms against brother, where we as a nation divided along lines and fought to the death, and I sincerely hope we stay that way. Sometimes what is needed as a nation is to ignore what divides, look for the common thread that unites us, use this to give respect for a difference of opinion, does not mean you have to give in to one for the sake of peace, sometimes the difference is what enriches us, not divides us. Many times, just like with family, we have to make compromises so we can come together in peace, maybe we need to learn to do this as a nation. I for one am proud to be an American, I still look at an attack on one of us as an attack on all of us, that is what unites us as a nation, when one is struck down we all grieve, if justice is needed, we all support it, we never look to see the political, cultural or religious aspect of the one killed, we only know they were American, that is enough for us. We need to remember this as things get divided, always remember that there is far more that unites us a nation then divides us. What is Wrong with the US Congress and Senate?